'The Expendables 2' Cast: Who's the Most Badass? My 150 favorite movies of all time! Gen. Quoc: Braddock! Braddock! Boogie Eye! Boogie Eye! Vietnam war vet ( Chuck Norris ) and previous POW goes back to Vietnam when is reported that a son was born . As Braddock returns looking for his disappeared wife and kid after downfall Saigon . When Braddock arrives is pursued by a Vietnam general ( Aki Aelong ). Then he schemes to free some children held prisoners in a far prison camp into Vietnam . As long as he's there , stubborn Braddock decides to head Thailand , being pursued by the former officer . The two-fisted Nam vet Colonel Braddock tries continuously to free the kids held captives and suffers various tortures in charge of the evil ruler . Braddock hunks his way through the jungle to save the waif children . He flees along with the kids and harassing his enemies pursuers , escaping the innumerable risks and dangers . From the beginning to the end the comic-book action-packed , transparent gore , and extreme violence is continued and it's fast movement ; for that reason the picture is pretty amusing though contains some perfunctory scenes . 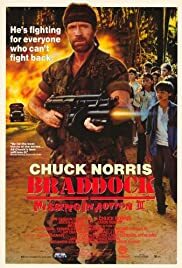 This is a routine actioner with Karate star Chuck Norris as the Vietnam veteran resulting to be one of the best roles he'd made to date , as he's fine as tough, cold , obstinate Colonel Braddock . It's a predictable, xenophobic , shallow and brainless film though will appeal to Chuck Norris enthusiasts because of it contains some excellent action sequences ( when Braddock shoots with his machine gun , several explosions or scenes of motorboat and helicopters ) . In the ink of ¨ Uncommon courage ¨( by Ted Kotcheff ) and ¨ RamboII ¨( George Pan Cosmatos ) with Norris attempting to imitate Silvester Stallone or Arnold Schwarnezzegger like one army man . The film is the best of the trilogy , the first entry deals with Braddock who schemes to free some American soldiers still held prisoners in a far prison camp into Vietnam . The second part ( directed by Lance Hool , the first's producer ) concerns about tortures and Braddock's suffering in prisoner camp . In the three movies there are some nasty , ominous villains well played by Asian players : James Hong , Soon Teck Oh, and Aki Aelong who bear offensive racial stereotypes . Appropriate musical score by Jay Chattaway and adequate cinematography by cameraman Joao Fernandez , both of whom worked in the trilogy . 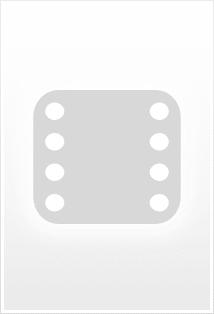 The motion picture is produced in average budget by Cannon films ( Menahem Golan and Yoram Globus ) and professionally directed by Aaron Norris , Chuck's brother . It's a movie for frantic action lovers and warlike genre buffs. Rating : Acceptable, passable and entertaining but violent . Although the movie has some aspects a little tough to take , this moving film still has its fine moments getting a bemusing atmosphere with agreeable results , furthermore grossed lot of money at the box office along with the previous entries .